Hello friends! I am back with a different video of sorts. I normally post subscription boxes in separate videos and blog posts but I thought it would be fun to compare them this month! So there are 3 total. The Birchbox., Ipsy. and even the Goode Box! If you want to see which one I liked best of all...enjoy the video! More pictures and info below! Ipsy is a monthly subscription service for $10 a month. There use to be a waiting list but I think you can get subscribed right away now. This is more beauty oriented than the others and normally comes with 4-5 items. 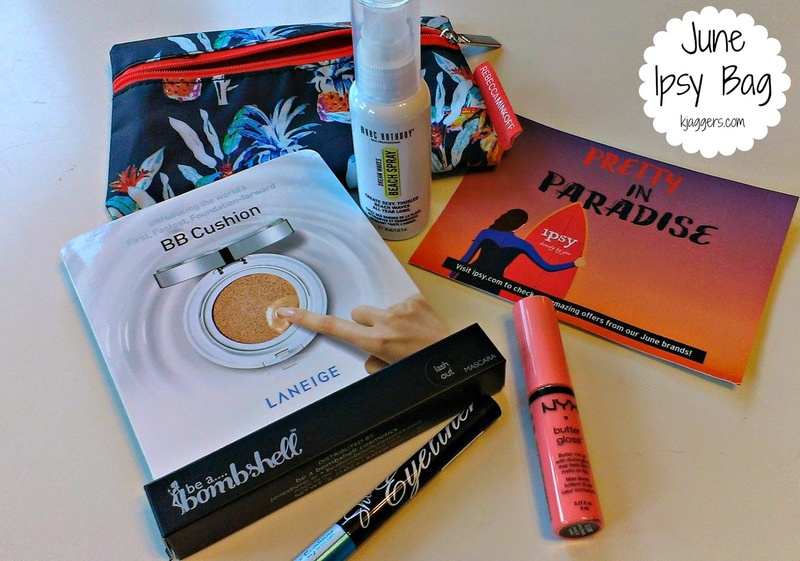 The June Ipsy Bag came with a lot of nice things this month. They included a new kind of BB Cream, a Bombshell Mascara in black. Also included was a electric blue liquid liner and a NYX Butter Gloss. And there was a hair product for beachy wavy hair. Every ipsy box is actually a bag that always contains the cutest little makeup bags. 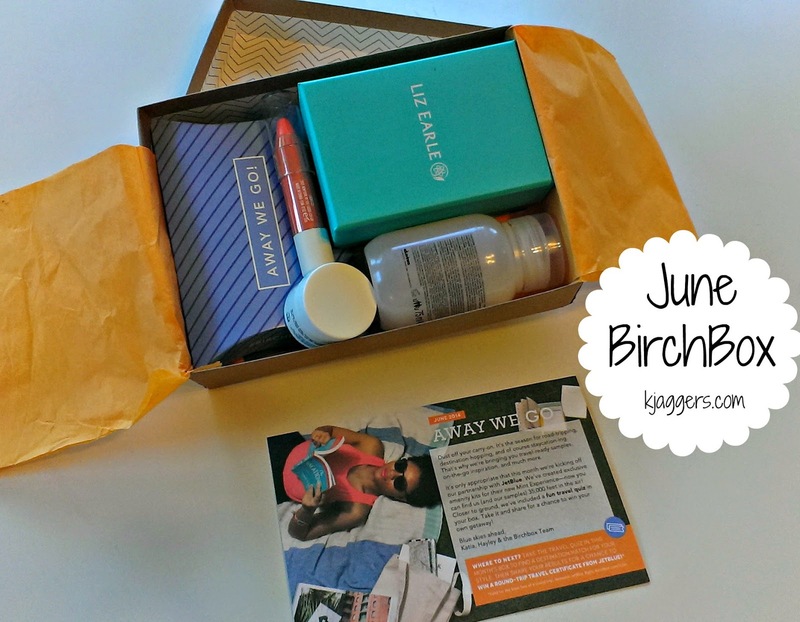 Birchbox is another $10 a month subscription service. This box contains beauty, grooming and life style products that normally comes with 5 + items. 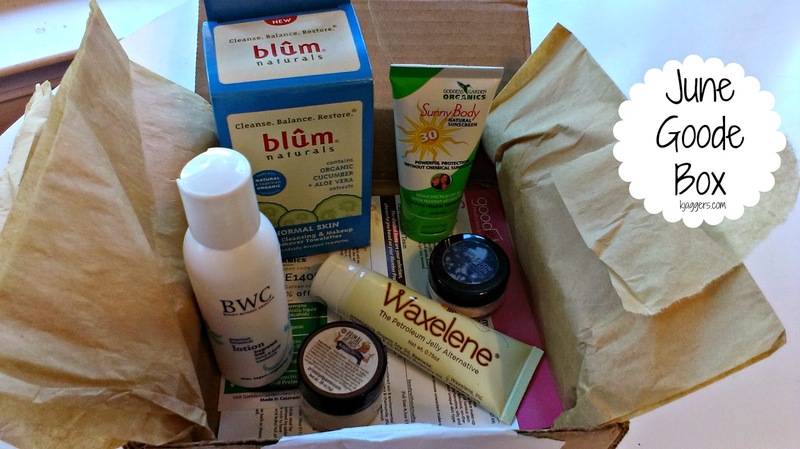 Goode Box is a subscription service that you can test out more natural beauty and health items. These items are all natural, unique hand picked items but this one cost $18 a month or you can change up your shipping schedule to bi monthly if you wish! The June Goode box. This contains more natural organic products. This box has some hand and body cream, makeup wipes, sun screen, a kinda petroleum jelly alternative, and natural deodorant. There was also a eye shadow pigment. If you want to see which one won the battle....you will have to watch the video above!